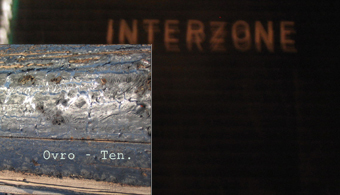 Ten., "Bits, pieces, unreleased tracks and reworks: ten years of Ovrian existence tour." This little compilation covers a decade's worth of works that haven't appeared elsewhere at all, have only been part of live performances or are previously unreleased versions of released material. This isn't an all-inclusive release of said material, nor a "pick the very best", but a tour including misses. The compilation is a bit heavy on the early material, as that's where there is truely previously unheard material to be found. 1. ovros (2003) is the very first track I ever made, previously heard only by two other people apart from myself. This is the track that gave me my name, too. 2. Rauhoitu (2003) is a commissioned but unreleased remix of an A\H track "Riehu". In English the names would be "Calm Down" vs. the original "Rave". 3. Concrete Relics (2003) ponders on the soundscapes of "world after us", inspired by discussions about nuclear holocaust and other niceties on the similar vein. 4. Malice's Bomb (2003) is a very condenced version of a Mockingwyrd-Ovro -collaboration. 5. Inducer (2004) gig rehearsal recording version of a track under the same name appearing on rare The Serpent Rite release. Live, in a way, but not played before an audience. 6. ... Nor Way (2004) is an unreleased track made for a Norwegian complition, which never saw the light of day. 7. IO Khaos (2005) is another unreleased track made for a compilation that never happened. 8. General PanIck (2005) got played on several gigs, usually with vocals by Niko Skorpio. Here, you'll find the "original version" with vocals by Yours Truly. 9. Invocation (2006) is another track previously released on The Serpent Rite (as "Entry"), but this is a later gig rehearsal recording. 10. Summoned I Summon (2006) is the only actual live recording on the album and captures the mood of my Moscow gig (March 8th, 2006). Studio version of the track was relased on Vipera Aurea. 11. Compulsus (2007) is a halfway version between Estraier's Conplusions and Revisited's Compulsed. 12. Vorpal Angel (2008/13) is a "studio live" played using my Dec. 10th 2008 Turku gig's set. 13. Rotting Ill Fates (2009) yet another Serpent Rite track ("Fates"), in a later live version. Yet again, this is a pre-gig recording. 14. Tiedosta / On Knowledge (2010) is a more or less random excerpt of my Feb 29th 2010 Turku gig's material, where I played a sample-heavy dark ambient gig. This piece, however, is from a online live gig I played shortly after. 15. Diesel 120 4b4 Long (2011) was recorded for Gabi Schaffner under the alias of Alma Ratas. Read about the Otto Mötö / Martti Mauri -project here. 16. Intro (2012) is a rehearsal recording of an unreleased live track. 17. Piggies (2012) was originally intended to be on Id|entities and had vocals, but got weeded out. This version isn't by far properly finished. Time will tell, if the poor Piggies ever get to be a real track.